I recently received a request from a friend who is a Greek language tutor and she wanted business cards that were unique and somehow incorporated the Greek language. 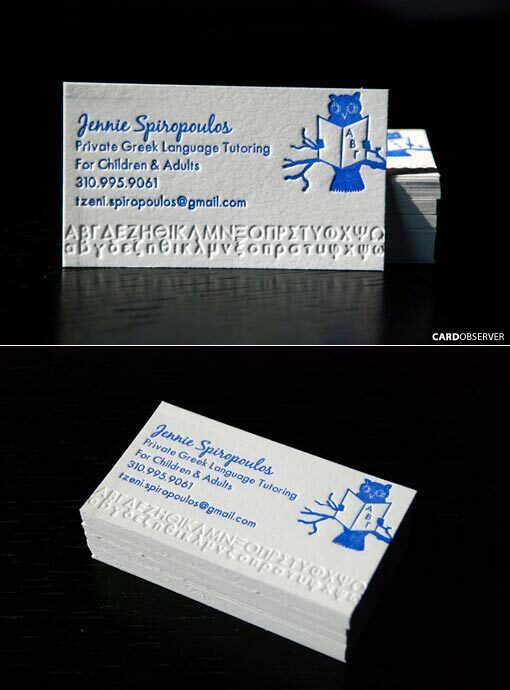 Because Cartoules Letterpress specializes in Greek letterpress printed stationery - this was right up our alley. The client wanted to include an image of an owl, which in the Greek culture symbolizes wisdom and learning. Enjoy!